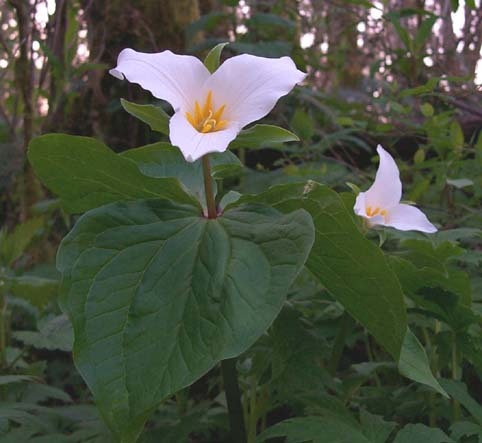 Trillium’s are found throughout the forest of the Pacific Northwest. Usually found under the cover of larger trees in a small clearing, the Trillium starts blooming in March and April. The three spade shaped leaves and the pure white three petal flower give the Trillium a striking contrast with the forest background. In the lower picture, if you look closely, you may be able to see little drops of fine yellow powdery pollen. The small yellow splashes are on the lower petal. 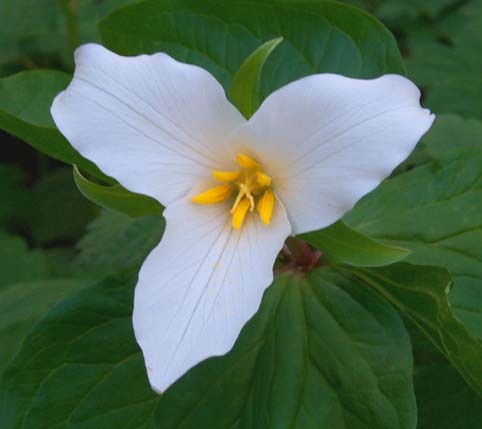 The Trillium is a member of the Lily family.